Hillary Clinton refuses to accept reality and is desperately trying to cling to political relevance. She has enjoyed a lifetime of political privilege as a First Lady, a United States Senator, a Secretary of State and a presidential nominee of the Democratic Party. Sadly, she was awarded all of these prestigious positions because of her husband, not due to her own merit. On her own, Hillary Clinton is a disastrous loser. 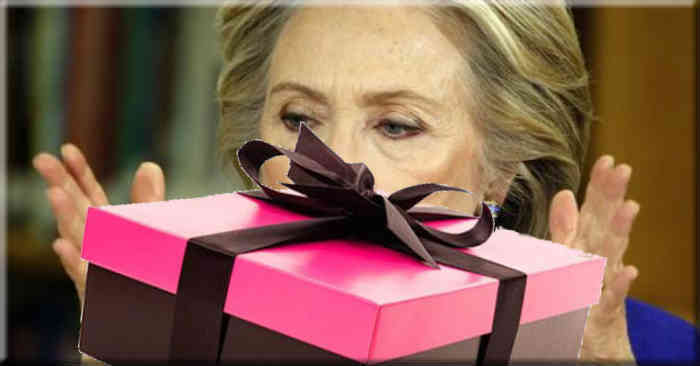 In fact, she is the most famous two-time presidential loser in U.S. history who should have received a clear message from the American people. The voters of this country do not want her to be President of the United States. In 2008, she lost the Democratic Party nomination to an unknown and unproven United States Senator. In 2016, as the infamous email disclosure proved, Clinton was the beneficiary of a corrupt Democratic Party nomination process. Despite having a Democratic National Committee giving her every advantage, and CNN giving her advance notice of debate questions, Hillary Clinton barely defeated an elderly socialist Senator for her party’s nomination. In the general election, she lost the presidency to a political novice, Donald Trump, who was facing incredible disadvantages. Obviously, Hillary and her campaign team were overconfident. They believed the phony polls and the false praise from the leftist media. They were facing a candidate, who was derided as a former reality television star and was being destroyed on a daily basis by a hostile media. While Clinton had a united Democratic Party supporting her, Trump had to deal with a divided Republican Party. In the campaign, Hillary spent almost twice as much money as Donald Trump and was advised by an experienced team of professionals, as well as her husband, who was elected President of the United States twice.